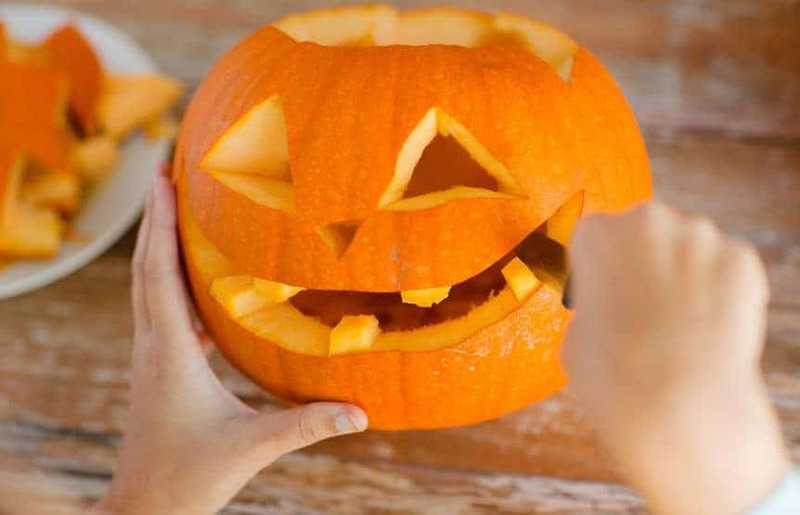 Try these tips when you are preparing and carving pumpkins this year if you want to know how to make a pumpkin last longer than usual. Anytime that we have carved pumpkins we have had to wait until the night before in order to assure that the pumpkins would last more than a few hours. This year I decided to do a little research to see if there was anything we could to do protect our pumpkins from rotting so quickly. What I found out was that if you want to keep your carved pumpkins from rotting you need to do something to preserve them. The moment that you cut the pumpkin with a knife you destroy their natural protection, making room for bacteria and fungi to grow, and thus begins the decay process. But there are some things that you can do to extend the life of your carved pumpkins this year. Wash your pumpkins. 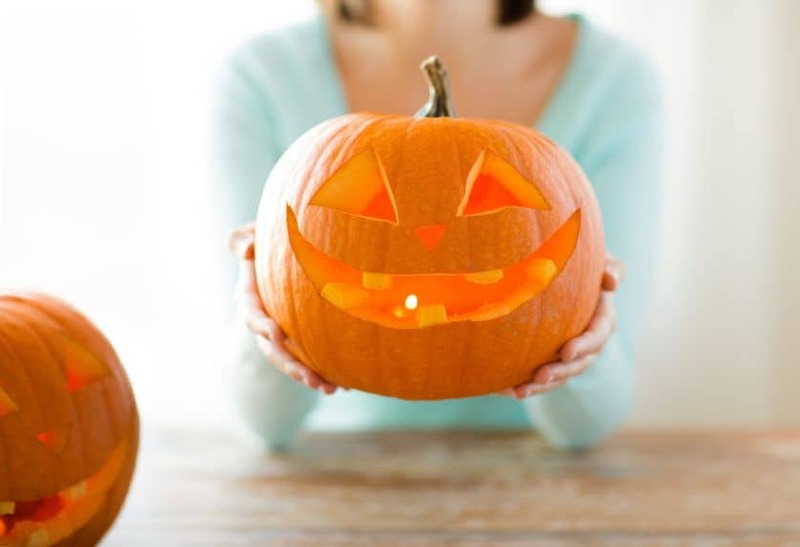 Make sure you wash the outside of the pumpkin before carving to get rid of any dirt that could carry microscopic organisms that will begin attacking the pumpkin once it has been cut. Spray your pumpkins. Make a bleach spray using this Homemade Bleach. Spray the entire inside and all exposed cut areas liberally with your Bleach Solution and allow to dry for about 30 minutes. Protect your pumpkin. Rub coconut oil or petroleum jelly over all the areas that you previously sprayed. This will create a protective barrier that will help keep new bacteria or fungi from growing and extend the life of you carved treasure. Keep in mind that sunlight and heat are enemies of the carved pumpkin and help bacteria to grow. 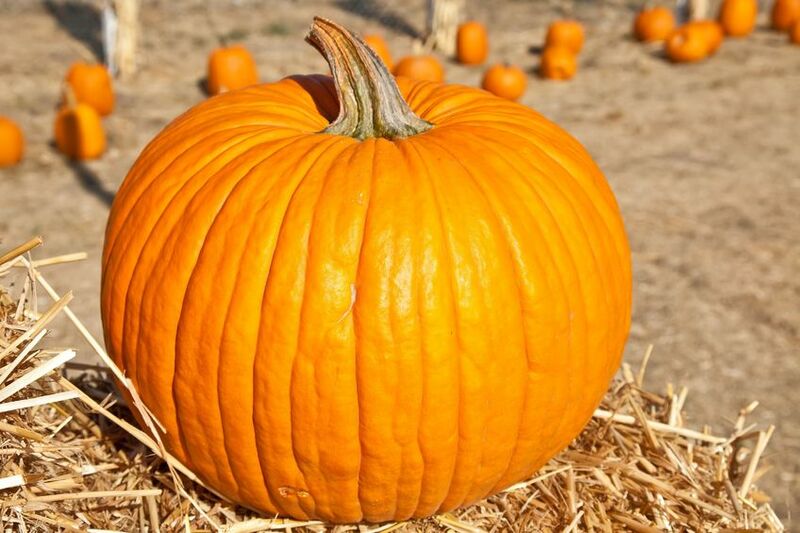 When choosing a place to display your pumpkin, look for a spot that is out of direct sunlight. Now the only thing you have to protect your pumpkins from are neighborhood critters! If you need Pumpkin carving Ideas, check out these FREE Pumpkin Carving Patterns. And you can’t forget to make sure you have all the Pumpkin Carving Tools you’ll need. 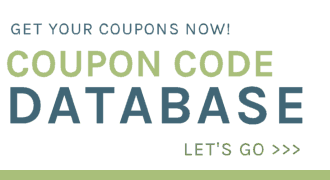 Lastly, I wanted to make sure you knew all about our special Essential Oils offer filled with FREEBIES to help you get started! Oh, and it includes the Lemon Essential Oil that is mentioned in the recipe above. Hi Kristie. I didn’t know that we can extend the life of a curved pumpkin. Thanks for sharing. We have pumpkins in our garden and the kids are anxious to start cutting some already. Definitely going to try this this year! This is very helpful, especially as Halloween is just around the corner.